No matter how hard we might try to fight the reality of the situation, substance abuse and addiction are grim reminders that humans are imperfect creatures, but we can learn a valuable lesson from these unfortunate circumstances. In a somewhat cruel twist of fate, the more we learn about these unfortunate men and women suffering from this terrible affliction, the more we can begin to understand what components are required to ensure a mind is perfectly healthy. Of course, as science progresses, we are learning more and more about the possibilities for drug and alcohol rehabilitation (including avenues for addiction medication and behavioral reconditioning). For the time being, though, we must endure and provide support for those screaming for help. Are you a parent or a parent-to-be? Even if you are not, consider (for a moment) how terrifying it would be to learn that your child is suffering from drug or alcohol addiction, possibly some of the worst brain disorders on the planet. Now, imagine if you are a grandparent and think about the horror of finding out your precious grandchildren are living with an addict (which could be your child). Initially, you might respond with a mixture of fear, doubt, self-loathing, or guilt. Maybe you blame yourself for the situation or feel compelled to charge into the situation, guns blazing. When a grandchild’s parents succumb to addiction, grandparents can feel particularly guilty or possibly ashamed. Of course, the next option is to attempt to repair the damage before it becomes worse, but even this step can backfire. Substance abuse and addiction are incurable, but these problems are treatable. So how do you protect your grandchildren while also ensuring your grown child (their parents) are not suffering? All of them are precious to you. What should you do? Today, let’s take a closer look at what steps a grandparent can take if their grandchild is living with a substance abuser or full-blown addict. First of all, let’s look at some signs that your adult children, the parents of your grandchild, may be suffering from a form of substance addiction. Bruises and lacerations along the arm or other parts of the body (heroin injection). Again, these are just a few factors that demonstrate physical and emotional changes associated with addiction and abuse (from mild to severe cases). Something to always keep in mind is the future of your grandchildren (obviously). Although little kids and teenagers are very adaptable and reliable, these boys and girls cannot always overcome stressful situations, and living with an addict can prove to be a traumatic situation for them. Ultimately, scientists refer to this situation as an adverse childhood experience (ACE), which can ultimately lead to negative behavioral and social endeavors in a child’s adult life. When you consider the statistics, you may find it sad that officials have not listed these conditions in this manner. After all, 25% of American children grow up in households polluted by drug abuse/addiction. Even more disturbing, scientific studies confirm that these kids are 8 times more likely to develop the same mental problem than kids in normal households. How Can You Gain the Upper Hand? Let the children know that loving, strong people are in their lives, not just addicts. Keep your relationship with your grandchild or grandchildren strong and secure. However, while you may be angry and hurt that your son or daughter is neglectful toward their kids, you should never confront them in front of the grandchildren. 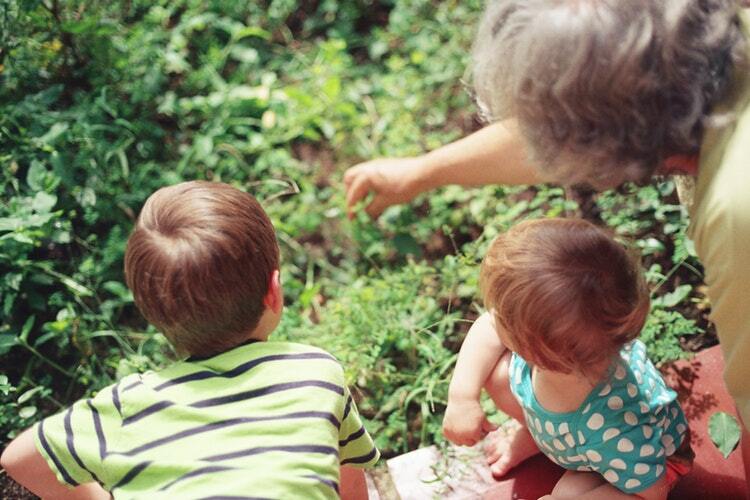 If a child sees their grandparents criticizing their parents, sometimes children can hold onto this angst, causing a rift in the grandparent-grandchild relationship. Also, never overstep boundaries or make your children think you are “taking over,” so to speak. Ultimately, though, if you have evidence that your son or daughter is abusing your grandchildren, the law is always on your side. In the case of child abuse, it is always wise to contact the authorities. Likewise, if you are legitimately concerned and want to take charge, you can always stage an intervention with the parent and get them the drug and alcohol rehabilitation help they need. It is never too late. How Can You Tell if You Are Enabling Behavior Stemming from Drug or Alcohol Addiction?